Norway spruce trees are indigenous from Europe, and are known there as the mountain spruce. The tree is very adaptable and thrives around the world, especially in places where there is a minimum of 20 inches of rainfall a year. The Norway variety is the most disease-resilient spruce tree. However, this attribute does not prevent the tree from experiencing acid deficiency on occasion. The majority of evergreens, including Norway spruce trees, prefer acid soil. Norway spruces thrive best in clay soils with reserve acidity. Even in instances where substances such as lime (which depletes soil acidity) is added to the soil reserve, acidity levels remain stable. Norway spruce trees have a more difficult time thriving in alkaline soils. The pH level is the measure of acidity versus alkalinity. A pH reading of less than 7 indicates acidity. When organic material breaks down or fertilizer is added to the soil, the result is an increase of soil acidity. Soil pH levels also rise due to extreme rain overflow. A plant’s capacity for use of specific nutrients depends on the pH level of the soil. If the pH level is low, the soil contains more acid and it will be easier for the plant to obtain the micronutrients from the soil. Micronutrients are mineral substances necessary for trees to grow. Norway spruce trees can develop in mild alkaline soil without extra help as long as moisture is preserved in the soil. 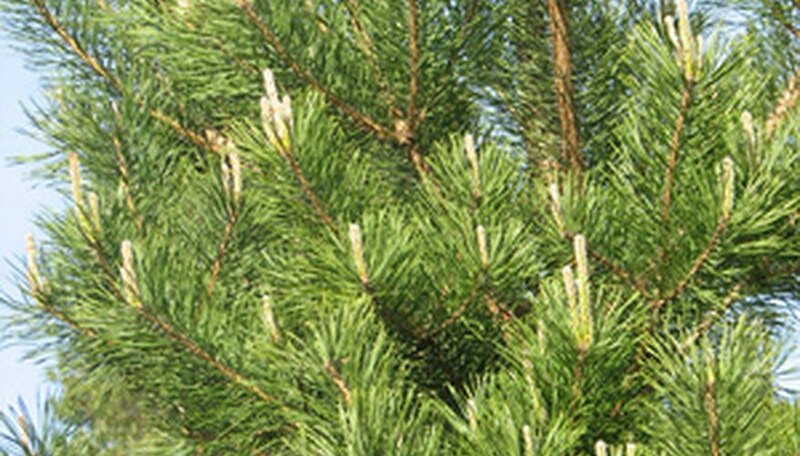 When a Norway spruce has a micronutrient deficiency, the spruce needles become discolored. In addition, new development is stunted, causing branches to die. A shortage of iron, magnesium or nitrogen is called chlorosis, which causes the Norway spruce to appear yellow where it is normally green. Lab testing should be conducted before increasing soil acidity. Typically, local home and garden stores conduct soil testing for a small fee. Be aware that it can take time to change the soil pH level. Therefore, it is better to treat nutrient deficiencies when the trees are younger, as a fully grown Norway spruce makes successful soil treatment less likely. Once the soil is tested, the results will determine what nutrients are required. There are two ways to get nutrients into the Norway spruce. One is supplying the micronutrients through the soil. Another approach is to drill a hole into the tree trunk, and inject the nutrients through the opening. Consult a tree professional before trying these two techniques, as it is important to avoid micronutrient toxicity (when too much nutrient is provided).